I got a bunch of random stuff done. First, I leveled a Paladin to 21, another Draenei. What can I say, I think they look really cool! I have more Draenei in the wings as well – a shaman – plus a warrior and hunter just for variety. I figure I need a break from the Draenei starter area so I decided to try a Gnome Priest too (part of my goal to play various classes to 20 or so). Part of me wants to play each class to level 10 or 20, but eventually pare that down to a main and an alt. The Paladin felt like a solid, fun class to play, decent variety of skills, flexible (can tank, heal, dps). I’ll keep leveling on the side, as an alt. Second, I made a Gnome Priest as I mentioned. 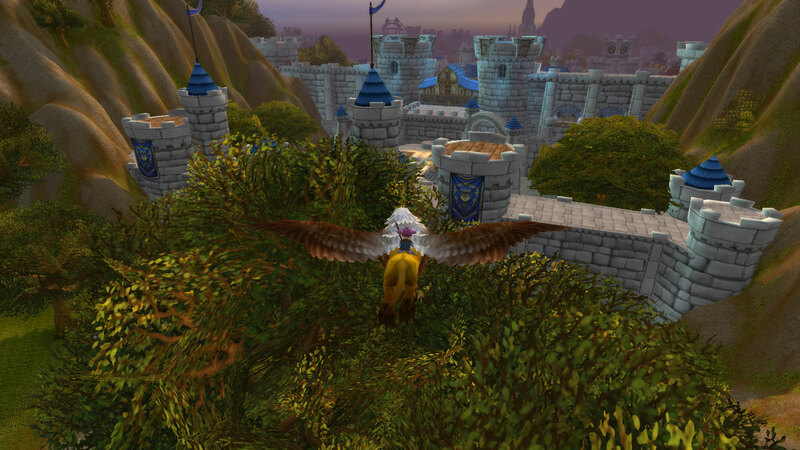 I really liked the whimsical goofiness of the starter area, and made it to Loch Modan and reached level 15. At level 10 I picked Shadow spec because I’ve got to kill stuff to level. And unfortunately… this is the most boring class I’ve ever played in a MMO (the Shadow Priest through the first 15 levels). I know that healing for groups is plenty challenging, but so far at level 15 I have a 3 skill rotation: Shadow Word Pain, Mind Flay, Power Word Shield. It’s been this way for at least 2 levels already and I’m bored out of my mind doing quests. I looked ahead in the spellbook and the priest doesn’t get another combat skill until level 21! I get Resurrection at level 18, then Devouring Plague and Mind Blast at level 21 which means 6 more levels of hitting 3 buttons without anything more sophisticated (e.g. watching for a proc that might change the rotation) other than cast on cooldown for Mind Flay and Power Word Shield (and reapply on expiration for the Shadow Word Pain). Those skills are 2 instants and 1 channel and ZZzzzzz…. Oh sorry I fell asleep thinking about it. I cannot fathom doing 6 more levels of this rotation so I’m going to shelve the Priest out of massive boredom. I would respec and try queueing for dungeons but you don’t get dual spec until level 30. It would be cumbersome to keep talking to a trainer to redo talents and so on to work around this issue. I think Blizzard should go through and smooth out skill acquisition – there is no reason to NOT get a skill every other level at this point. Perhaps the method to their madness is to encourage Priests to go Holy or Discipline by making it so ghastly boring to be Shadow (at least for the early levels)? So I talked to the flight master in Iron Forge and flew Melancthe to Stormwind where she will hang around the bank just hold stuff for others.